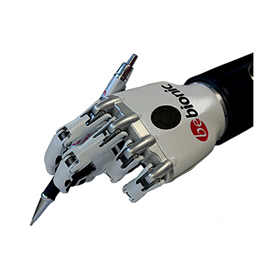 Are you ready to become a cyborg? Ten percent of us, with our pacemakers, dental implants, artificial hips and cochlear implants, already are. We used to believe that accidents, ill health, or even just old age would compromise the quality of our lives and there was nothing we could do about it. That's changing thanks to our increasing ability to seamlessly merge human and machine. 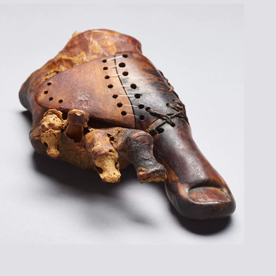 Last June, archeologists found a 3,000-year-old artificial toe in an Egyptian noblewoman’s tomb. The prosthetic design (anatomically correct, carefully shaped — even elegant) addressed the same issues people with limb loss face today: the practical need to replace the function of the lost body part and the psychological need to look like everyone else. These are the dual themes of this book: What science allows us to do and how society drives what we want (or feel compelled) to do. Spurred by large numbers of returning veterans from World Wars I and II, huge improvements in prosthetic technology (often developed in partnership with the people who will use them) now offer those who have lost limbs greatly improved quality of life. A recent paradigm shift — the ability to communicate directly with the brain via brain-computer interfaces — opens a new frontier for functional prosthetics, as well as new opportunities to help the over five million people in the country living with paralysis. The goal of medicine has always been to return people to "normal" -- but why stop at normal? A runner on metal blades will soon capture the human speed record. 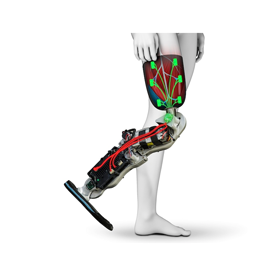 Prosthetic limbs are being designed not to merely mimic natural limbs, but to do more. The question isn't whether we go down this road: we're already well on the way. The question is how far we go.